BTISNET is offering M.Sc., M. Tech, Advanced P.G Diploma and Ph.D. 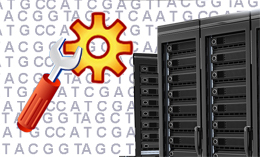 Courses in Bioinformatics. Advanced P.G Diploma course has been conducting in five BTISNET Centres viz University of Pune, Jawaharlal Nehru University, Calcutta University, Madurai Kamaraj University and Pondicherry University. Ph.D. programmes are going on in all CoEs, DISc and majority of Sub-DICs. All BTISNET Centres are offering six months studentships and traineeships courses. 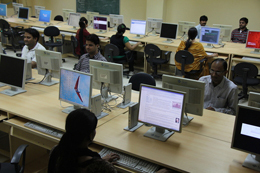 In addition, all centres are offering short term training courses. The schedule of training courses in various centres is published as BTISNET training Calendar in every year. Over 300 such training courses have been conducting in every year. Bioinformatics National Certification Examination (BINC) is conducting since 2005 to certify professionals in the area of Bioinformatics and providing fellowships for the qualified candidates to pursue in research. To review the BTISNET activities and formulating viable strategy to reach the facilities to the beneficiaries Coordinators meeting is organising every year. 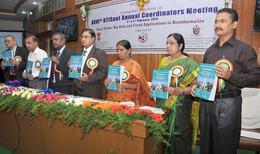 Under the special drive to strengthen the North Eastern States of the Country the North-Eastern Bioinformatics Network (NEBInet) was established. The NEBInet consists of 29 Bioinformatics Centres, one DIC at NEHU, two DICs at IBSD, and Sikkim State Council of Science and Technology and 26 BIFs in various Universities/Research Institutions across eight States. . NEBInet programmes are coordinated by NEHU.